Monday May 23. Timeform shortlist for Windsor. 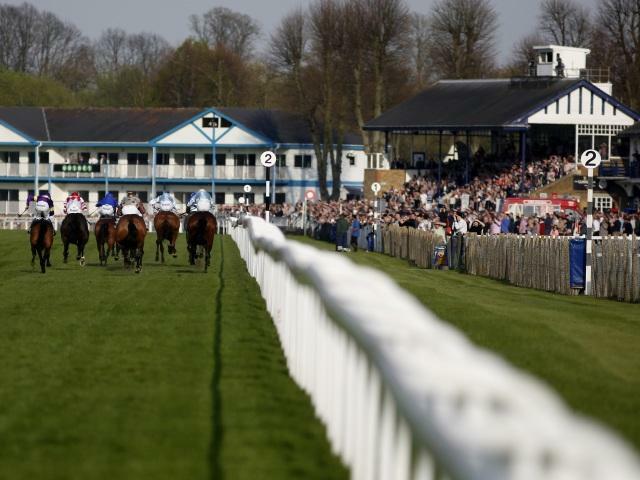 There's a quality card at Windsor on Monday evening and you can view the Timeform Shortlist for free. TROPICAL ROCK shaped well in what looked quite a strong race at Ascot and will be tough to beat if improving as expected. Barrington and Super Julius also showed promise on their debuts and are likely to provide the main threat unless one of the newcomers turns out to be well above average. FORESIGHT was clear of the rest when pushing a useful prospect of Godolphin's all the way last time and is likely to take a bit of stopping. He's My Cracker still needed the experience when finishing 1¼ lengths behind Jayjinski last time and can improve past that rival now, while Cold Snap is also likely to build on a promising debut at Lingfield. The Chris Wall-trained LONDON GLORY landed a Lingfield maiden in good style last month and looks to have been let in lightly on his handicap bow. Beauty Night has posted 2 solid efforts since switching to handicaps and his front-running tactics are often seen to good effect here, while Darksiteofthemoon went close last time and remains with potential after just 4 starts. THE TIN MAN has the potential to develop into a high-class sprinter this year and can set himself up for a tilt at the Diamond Jubilee at Royal Ascot by making a winning return to action here. Strath Burn was well behind the selection on his final start last year but will be a big threat if recapturing his Sprint Cup form, while Baccarat has been in good heart since returning from a lay-off. FLOWERS ON VENUS has come a long way in just 4 starts and can turn around latest Ascot placings with Muir Lodge and notch a second career success. Francisco is another lightly-raced sprinter on the up, while Cartmell Cleave was better than the result behind the selection on his reappearance and also looks capable of getting involved. HEPPLEWHITE has bumped into some useful sorts when finding one too good on his last 4 starts and can notch a deserved first success here. Rockspirit shaped encouragingly on his AW debut last autumn and could be the one to give him most to do ahead of Hughie Morrison's Admiral's Sunset. The lightly-raced BAADI likely has more to offer now switching his attentions to handicaps and can follow up last month's course maiden success. Priors Brook won second time up last season and is an obvious danger with Edward Greatrex taking 5 lb off, while Moojaned has a C&D win to his name this term and was narrowly denied off this mark at Lingfield last week.